Snikt Your boys here at The Fanboy Garage get mutated and psychic in this week’s episode as we unpack the latest news surrounding the now impending Disney/Fox merger along with our thoughts on what’s going on with X-Men Dark Phoenix and New Mutants. From there, we go back into time to revisit virtually every X-Men movie (sorry Deadpool); discussing the good, the bad and the very best the franchise has to offer. It wouldn’t be a worthy X-Men conversation without talking timelines, continuity and the hives it gives Aaron (The Continuity King) as we breakdown and try to make sense of clean slates, inconsistent Sabertooths, Wolverine origins, and more. Throw on your leather suit and sharpen those claws for this UNCANNY episode! 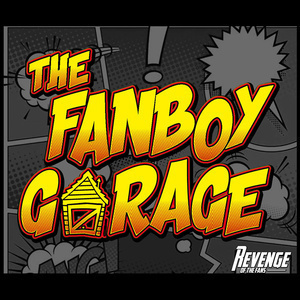 Be sure to tune in and subscribe where all great podcasts are found and don’t forget to join the conversation by tweeting us @TheFanboyGarage. If you’re also looking for the hottest TFG gear, be sure to stop by TheFanboyGarage.com for tees, hoodies, throw pillows and yes coasters!!! (no, not really).